Chargers SC Development Academy player Mason Judge continues to thrive on the National Stage. Mason has departed for his 3rd consecutive U.S. National Team camp with the U-15 Boys National Team, which starts today. The 2002s US National Team Camp takes place in California, spanning over a course of 7 days. Players will train twice a day, with matches against the 2000s from Club Tijuana Xoloitzcuintles de Caliente, Mexico, as well as intra-squad matches. 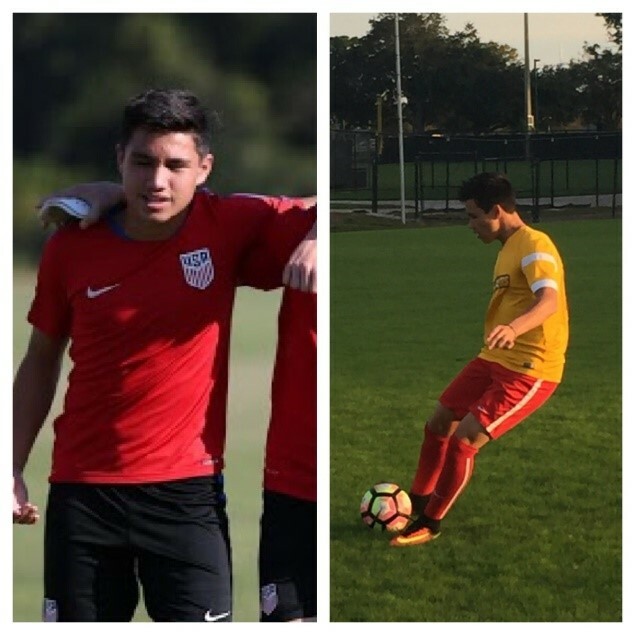 After the first 2002s camp in August, Mason has primarily trained and played two age groups up with the Chargers DA 16s. This jump in competition every day has forced Mason to push himself and attack the weaknesses in his game to become a much better player. During the second 2002s camp in November, US National Team Coach Dave Van den Bergh commented on Mason’s dramatic technical improvement and tactical understanding growth under the guidance of the Chargers DA program. Since that time Mason has been a full-time player with the Chargers 16 DA team, helping to lead them to great performances and impressive results during this period. Mason continues a long tradition of Chargers SC players and staff representing USA at the highest level. Mason represents the 4th player and staff member to participate with the US National Teams during the 2016-2017 Season. We wish you all the best Mason and we know this is just the start of your journey! We are excited to watch you continue to develop and grow, as together we push you to the next level!